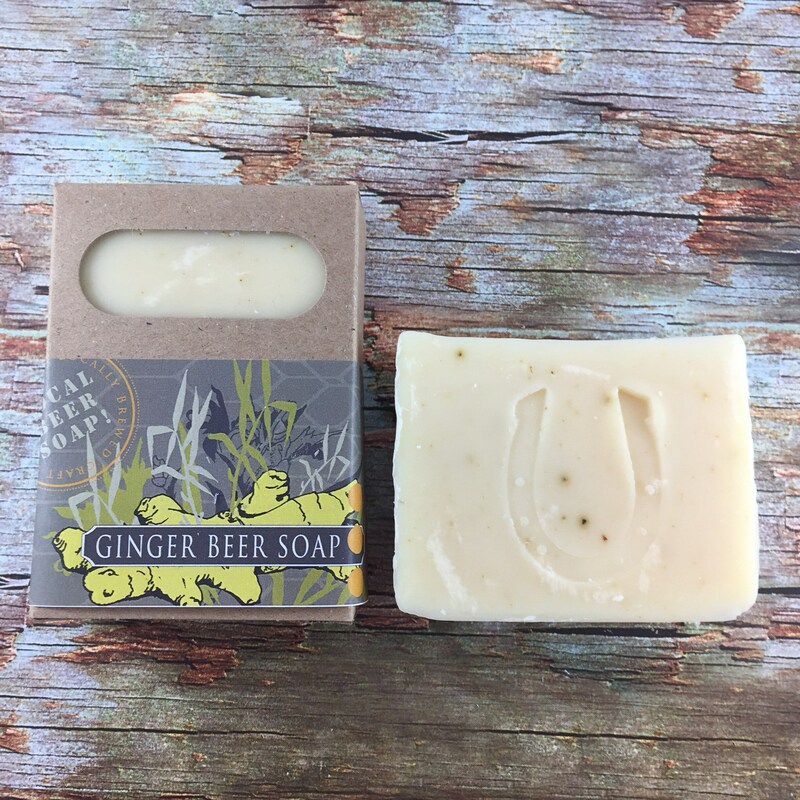 This is an all natural, hand crafted, vegan, cold process soap made in Victoria, BC.with local Phillips Brewing Co. Ginger beer. The olive oil is infused with hops which are very high in amino acids and have skin softening, relaxing and antibacterial properties. Beer is naturally very high in sugars which makes this a very bubbly & creamy soap. Scented with a warm & spicy blend of ginger, ravensara & juniper berry essential oils. We make our soaps in small batches from scratch using all natural ingredients and our own recipes. Each bar is cured for at least 4 weeks to ensure a hard, long lasting bar. *** NEW *** If you are local to Victoria and would prefer to save shipping charges and pick up your order in person please use promo code FREELOCALPICKUP. Shipping charges will be added at check out. Orders are usually processed and shipped within 1-3 business days. All shipping rates are based on total weight of the order. Shop prices and shipping rates are listed in CDN. The customer is responsible for any additional customs charges, duties or taxes charged to them by their country. For customs declarations, we mark the full value of the product and do not mark it as a gift. All orders are shipped using Canada Post and are based on weight. Ordering in multiples will save on shipping cost. We are not responsible for any items lost due to shipping. New** if you are local to Victoria, BC and would prefer to pick up your order in person and save the shipping charges just enter promo code FREELOCALPICKUP at checkout. You can them message me and we can arrange a pick up time. We are in the Saanich area near the gorge waterway. Due to the personal nature of our products, all products are non-refundable or exchangeable. All sales are final. If you are unhappy with a product for any reason please feel free to contact us and we will work towards a solution. All products are handmade and unique. For this reason please allow for slight variations in colors, swirls and weight etc.